Leeks – One of my favourite vegetables! Even though they are available all year around in England they are at their best from September to March. They are delicate and bursting with flavour during this time of the year. Leeks, like garlic and onions, belong to the vegetable family called Alluvium Vegetables. They contain many of the same beneficial health promoting vitamins, minerals and antioxidants as their Alluviam cousins and they are a good source of dietary fibre. 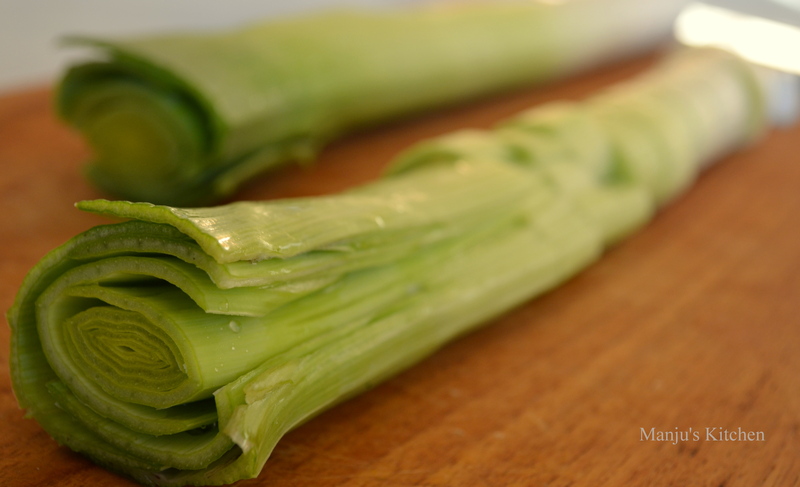 Since soil is often trapped between layers of leaves, washing is very important when it comes to leeks. First trim off the roots, cut off the top green leaves and then remove the tough outer layer from the whole leek. Use a knife to make a slit from the top, where the leaves have been cut off, to the point where the green meets the white. Rinse well under running water, pulling back the layers so that all the soil from the base is removed. They taste quite strong and harsh when they are raw but when cooked the flavour turns sweet and delicate. 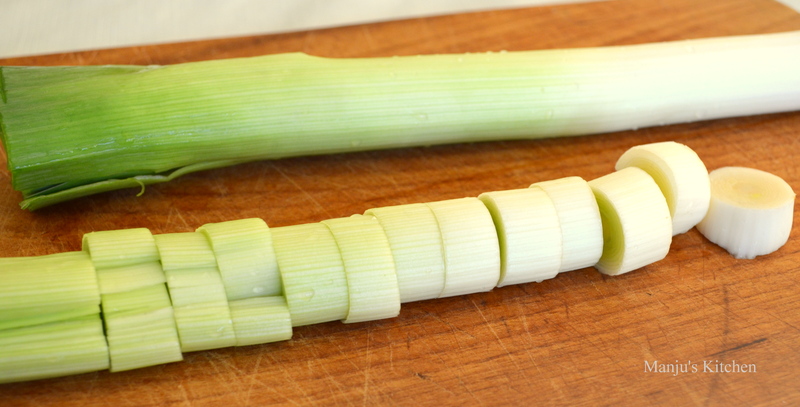 Leeks are very versatile and work well cooked in various ways. I use them a lot in everyday cooking – stir-fried with meat and seafood, chopped and added to fried rice, or in soups like this leek and potato soup. 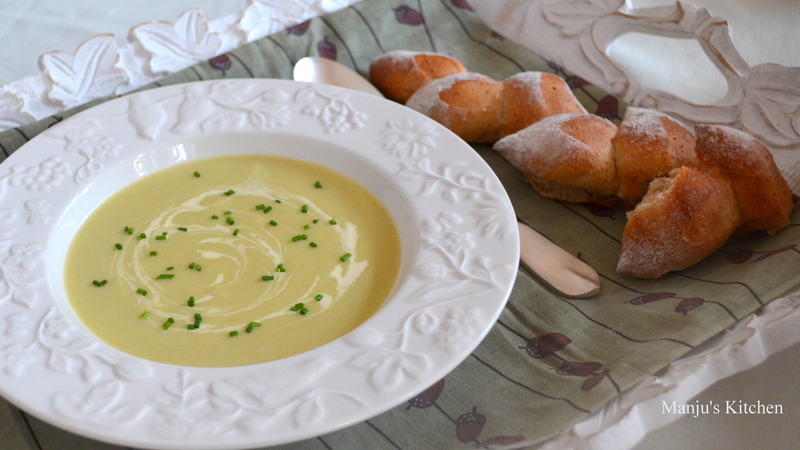 This classic soup is made in my own simple way…..
Sauté the sliced leek and sliced onion in butter until tender. Add peeled and cubed potatoes and chicken stock. Cover and cook till potatoes and leeks are tender. Blend the cooled mixture with milk in a food processor or blender until smooth. Add more milk if it is necessary to get a desired consistency. Transfer the mixture to a saucepan and season with salt and pepper. Heat gently until it reaches simmering point. Oh dear!!! Sorry for the late reply. wish I could send some….. take care and Get well soon….